Romantic without the fuss. These are characteristics that define the perfect beach wedding dress. For someone who recently tied the knot, I can say with certainty that finding the perfect wedding dress is one of the most important parts of wedding planning. If you are planning a beach wedding, you can't just wear ANY dress. You have to consider the elements and the theme so that your dress style will complement your wedding theme. 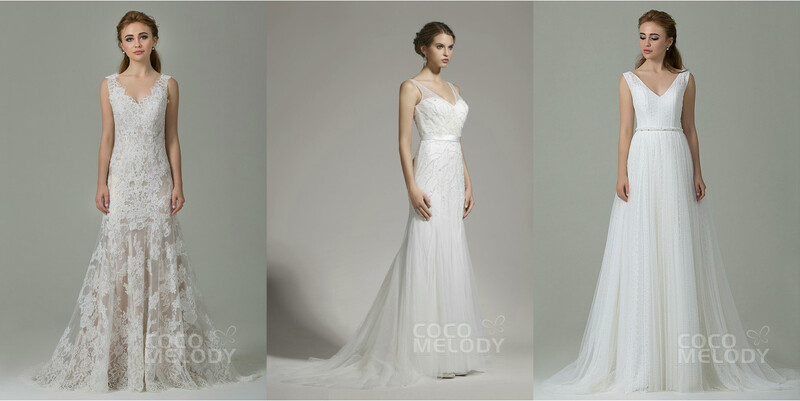 I have collaborated with Cocomelody to help narrow down your options to three wedding dress styles that are perfect for a destination or beach wedding. Smooth and feminine silhouette. This is the very factor that makes deep V neck, sheath dresses perfect for a beach wedding. 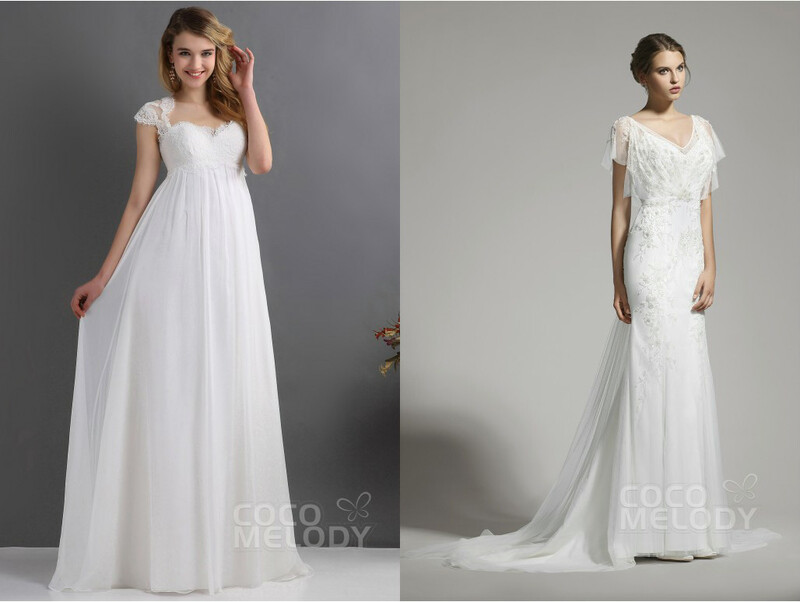 As a bonus, this type of beach wedding dresses are casual enough to suit the theme. The use of lace and tulle add more feminine flair to the dress. If you're not a fan of sleeveless dresses, a beach wedding is one of those instances that allow you to get away with wearing cap sleeves. 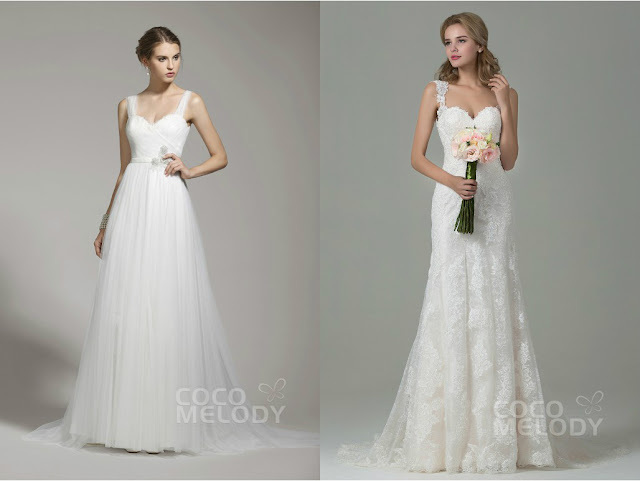 It is also the perfect combination of traditional and modern wedding dress style. The most common type of wedding dress worn to a beach wedding are those with spaghetti straps. It is casual enough for a beach wedding and glamorous enough for you to look like one stunning bride on your most important day. In case you are curious to see my own wedding dress, stay tuned! I will be sharing a series of blog posts showing a few highlights of our big day - don't miss it! I love weddings! Great picks for a beach wedding dress. I especially love the spaghetti strap ones! good luck on finding your prefect dress for the big day. You look amazing - Happy Holidays! !